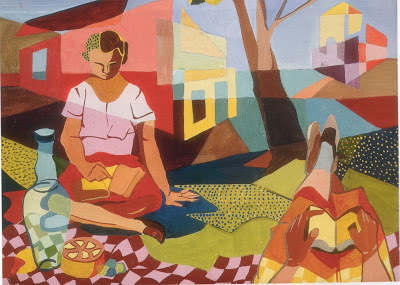 Linebaugh Public Library’s Summer Lecture Series continues tonight with the goal of providing an in-depth exploration of contemporary literature for book discussion groups. Tonight’s set of books up for discussion will be “Birthday Letters” by Ted Hughes and “Ariel” by Sylvia Plath, presented by Deborah Gentry. Linebaugh Library is located at 105 W. Vine St., Murfreesboro. For more information, call (615) 893-4131. The passing of Ingmar Bergman is a giant loss to the film industry. "The film takes place in a maternity ward, within the space of twenty-four hours. Cecilia, married and by profession a secretary of the board of education, is three months pregnant when she is brought to the hospital. She has a miscarriage. A later talk with her husband, Anders, confirms her suspicion that he never wanted the child. He is an intellectual who has built up an armour against the world and against emotion. Cecilia, meanwhile, becomes moody and introspective.Also in the ward is Stina, a very happily married and healthy woman, looking forward to the experience of having a child. She is visited by her simple but kind husband, who gives her flowers as a gesture of his love. Only once does she feel fear—in the midst of a joyful conversation with the comforting Sister Brita—when she quotes from the Bible, "Yea, a sword shall pierce thy soul..."The third woman in the ward is Hjördis, who is young and unmarried. Realizing that the father of the baby is indifferent to her fate, Hjördis tells a friend that she really wants an abortion. Only after a talk with a welfare director, who is herself sterile, does Hjördis decide to have the child." 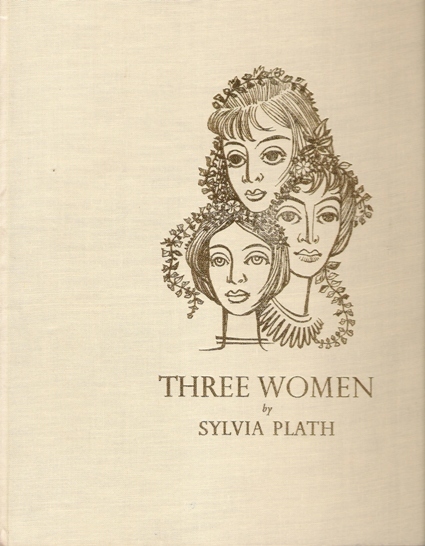 "Three Women" was written in the spring of 1962 while Plath was still in Devon, living with Hughes. She had given birth to her second child a couple of months prior. "Three Women" was broadcast by Douglas Cleverdon and the BBC in 1962. Turret Books published a handsome limited edition with an introduction by Cleverdon in 1968. "Three Women" later appeared as the final poem in Winter Trees, published in 1971/2. This review appeared online at the web site of the Toledo Blade (http://www.toledoblade.com/). "YOUR OWN, SYLVIA: A VERSE PORTRAIT OF SYLVIA PLATH. By Stephanie Hemphill. Knopf. $15.99. Ages 16 and up.Sylvia Plath is remembered for a dark, passionate life and for poetry that opens the human heart. Poet Hemphill recounts that life in original poems that illuminate Plath’s journey through the stages of childhood, young woman, wife, and young mother. Each poem is written as a letter from someone close to Sylvia or in the style of a Plath poem. Included are biographical footnotes in a non-intrusive style. An absorbing life story to savor. " I have not heard much about this book, published by Knopf in March 2007. Has anyone out there read it? 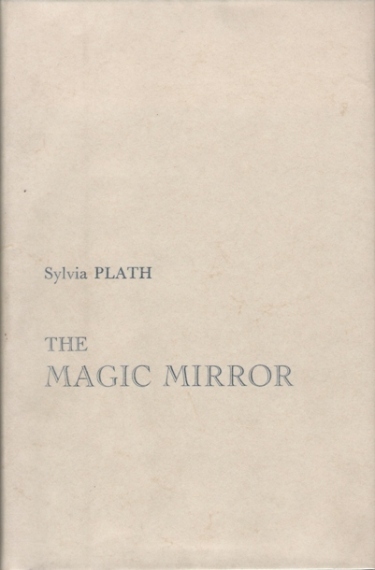 Sylvia Plath wrote her senior thesis on Dostoyevsky called The magic mirror: A study of the double in two of Dostoevsky's novels. It was printed in a limited edition of 226 numbered copies by Embers Handpress, Rhiwargor, Llanwddyn, Powys, in 1989. Smith College holds the original as part of their Sylvia Plath Collection. Indiana University also holds some related materials including notes and note cards for the work. Sylvia Plath has also been the subject of well over a hundred theses and dissertations. I have been working on compiling a bibliography of these, mostly dissertations through a source I have via my graduate program. I will post it to this blog in the next few days I hope. Some of these works have gone on to be published, for example Judith Kroll's brilliant Chapters in a mythology: The poetry of Sylvia Plath. The disseration was titled Chapters in a mythology: The poetic vision of Sylvia Plath. The book was published in 1976 by Harper & Row with the slightly revised title. The Mortimer Rare Book Room at Smith College holds the impressive, important Sylvia Plath Collection, 1940-1981. "The collection contains approximately 4,000 pages of Plath's manuscripts and typescripts. This includes a group of 67 poems in successive draft that are part of the Ariel poems. Also drafts of early poems, some with notes by Alfred Young Fisher. There are typescripts of The Bell Jar. Also drafts of articles, broadcasts, reviews and short stories. There are her journals, drawings and correspondence. Correspondence includes letters to and/or from Al Alvarez, Dorothy Schober Benotti, Ruth Barnhouse, Ruth Fainlight, Ann Davidow Goodman Hayes, Elinor Friedman Klein, Philip Emerald McCurdy, Enid Epstein Mark, James Michie, Marianne Moore, Howard Moss, Hans-Joachim Neupert, Aurelia Schober Plath, Otto Emil Plath, Olive Higgins Prouty, G. Jon Rosenthal, Stevie Smith, Marcia Brown Stern, and other friends, publishers and editors. Also memorabilia from childhood, school and adult life. Included in the realia is her English elm writing board, furniture she painted and her typewriter." General information about the collection: Access is unrestricted, unless otherwise noted. I have had the priviledge to use this collection many times in the last nine years. It is an extraordinary repository, and the staff is friendly and knowledgeable. The eleven essays in Sylvia Plath, Updated Edition (Bloom's Modern Critical Views) are all reprints from monographs or journals. Each is an excellent contribution to Plath scholarship. Bloom's continued hypocrisy is unforgivable, however. In fact, he re-prints his "Introduction" to his first edition, and in an author's note adds that his revulsion to Plath is ever-growing. I appreciate the fact that Bloom edited the series which featured my book about Plath, but he really should not put his name on a book if he cannot stomach the subject. The advantage of a book like this is in the wide range of perspective each author gives and, I suppose, in the selection of the pieces by the series editor. Absent are strong essays by Tracy Brain and Lynda K. Bundzten, to name just two of the many Plath scholars I both respect and admire. Below are the chapters and the work where they previously appeared. Sometimes described by readers as a “female ‘Catcher in the Rye,’” “The Bell Jar” follows Greenwood as she experiences massive, clinical melancholia, through commitment to a mental hospital, electroshock therapy, and several suicide attempts. Ask most casual students of English literature and they’ll tell you “The Bell Jar” is one thing above all – effing depressing. Part of what makes people think of “The Bell Jar” as depressing, Stiles insists, actually has nothing to do with the book at all – but with the author, who committed suicide one month after the novel’s initial publication. What makes those images “perfect for film,” Stiles added, was that they take place inside Greenwood’s head – and are therefore limited only by one’s imagination. Which means Stiles is already thinking outside the box about how to introduce them into the movie. At one point Greenwood describes her depression as like being stuck under a bell jar, unable to draw breath or escape. What does the “The Bell Jar” ultimately mean to Stiles? The Howard Gottlieb Archival Research Center at Boston University is has impressive holdings. Sylvia Plath audited Robert Lowell’s poetry course in the winter/spring semester of 1959 and it was there that she met Anne Sexton. Sexton, Plath and others spent time at the bar at the Ritz (pictured to the right and now called The Taj) on Arlington Street in Boston after class and discussed poetry, suicide, and other tantalizing subjects I am sure. One day in 2005, I had the occasion to visit the archives and looking for any information on this course. They produced for me the General Catalogue, 1958-1959, Volume XLVII, Number 23. The College of Liberal Arts had classrooms at 705 and 725 Commonwealth Avenue. As far as my research shows, it is not known. The Howard Gottlieb Archival Research Center is online here. Emory University holds the Olwyn Hughes papers, 1951-1997. The call number is Manuscript Collection No. 980 and is contained in two boxes. The second box contains photocopies of everything held in the first box. 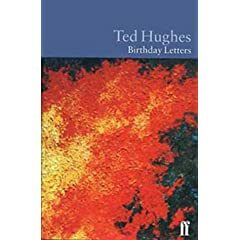 The abstract for the collection reads, "Letters from Ted Hughes to his sister, Olwyn Hughes, from 1951 to 1997, and to his parents from 1954 to 1960. The topics include discussions of his activities during his undergraduate years, his life with Sylvia Plath and their children Frieda and Nicholas, and his career including teaching and writing." Letters from Plath can be found in Box 1, Folders 9, 16, 17, 18, 20, 21, and 23. A photograph of Plath can be found in Box 1, Folder 39. An interesting item is in folder 42; which is a confirmation for passage on the Cunard Steamship Queen Elizabeth. In all, the collection looks very interesting. If any readers out there have worked with these materials, please share your experience. The finding aid to the Olwyn Hughes papers is online here. Google Books and Google Scholar are both powerful resources for finding information on anything. Using both, readers may find references to Sylvia Plath in books and articles that may help them with their own research. It can also be a way to obtain full or partial-text quotations from your favorite Plath books. Dr. Deborah Gentry will give a lecture entitled "The Birthday Letters by Ted Hughes and Ariel by Sylvia Plath" on 31 July, 2007, at the Linebaugh Public Library at 105 W. Vine St., Murfreesboro. The library telephone number is (615) 893-4131, should anyone require more information. Dr. Gentry is Associate Professor at Middle Tennessee State University and will have her book, The Art of Dying: Suicide in the Works of Kate Chopin and Sylvia Plath, published next year. 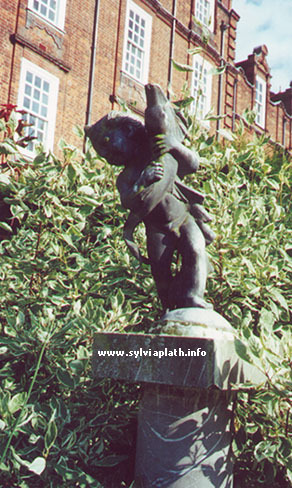 Sylvia Plath's "Stone Boy With Dolphin"
"Ever since the start of Lent term she had taken to brushing snow from the face of the winged, dolphin-carrying boy centered in the snow-filled college garden. In the vacant college garden, dark-needled pines made their sharp assaults of scent on her nostrils and the stone boy poised on one foot, wings of stone balancing like feathered fans on the wind, holding his waterless dolphin through the rude, clamorous weathers of an alien climate. Nightly after snows, with bare fingers, Dody scraped the caked snow from his stone-lidded eyes, and from his plump stone cherub foot. If not I, who then?" The actual statue is a copy of Andrea del Verrocchio's Putto with Dolphin. It was given to Newnham College as a gift in 1930 by an ex-student, whom Karen Kukil identifies as a Miss Farmer in a note in the Journals of Sylvia Plath (Faber 2000). The "original" copy was stolen a few years ago, but has been replaced and placed in an enclosed herb garden, according to an email I recently received from Anne Thomson, Archivist at Newnham College. Verrocchio's original Putto with Dolphin is held at the Palazzo Vecchio in Florence. There is yet another copy in the courtyard upon entrace, but the original is inside the building and can be seen only after paying the admission fee. This schedule is no longer valid. The Lilly Library at Indiana University holds a large collection of Sylvia Plath papers. Included in this collection are 139 items of artwork by Plath. 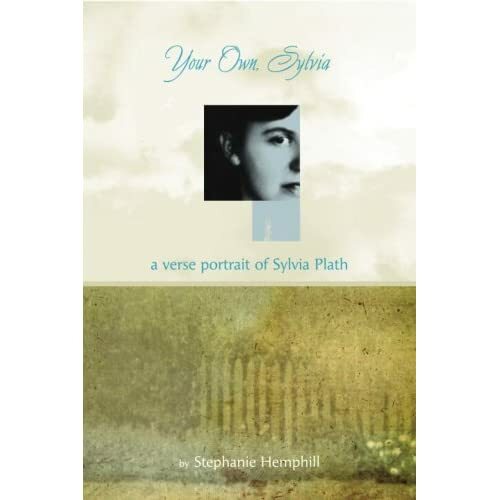 This collection "consists of drawings, paintings, pastel works and college art projects by poet Sylvia Plath." They are arranged by size and by medium. The artwork was a gift of Dorothy Young Burns in 1988. Many of these items, in addition to some materials from the Mortimer Rare Book Room, were on display in the Eye Rhymes: Visual Art and Manuscripts of Sylvia Plath exhibit during the 2002 Sylvia Plath 70th Year Symposium held at Indiana University. Sylvia Plath lived in a number of places throughout her short life. Below is a fairly comprehensive list of seventeen residences that Plath lived, with approximate dates in parentheses. Seventeen different addresses, in only 30 plus years! 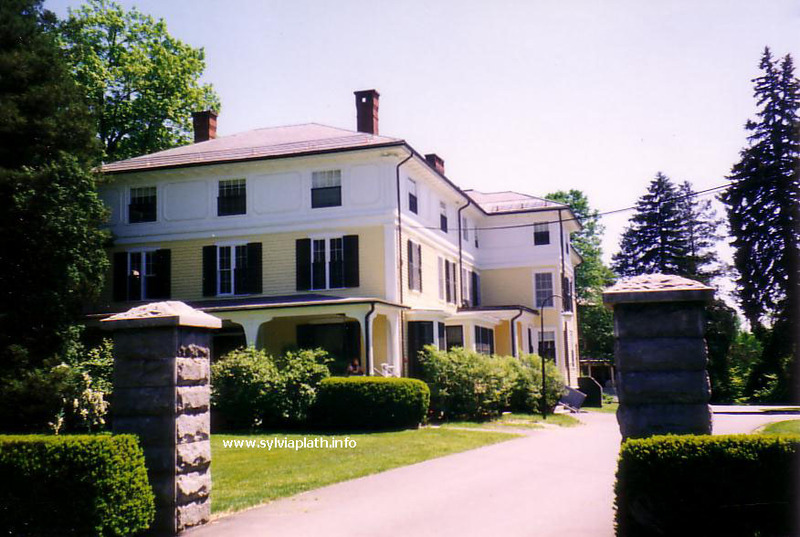 Some addresses are not listed here; for example Plath attended summer camps throughout the 1940s in New Hampshire (Camp Weetamoe), Massachusetts (Camp Helen Storrow), and a sailing camp on Martha's Vineyard. I saw this during it's original run in New York and was not impressed. It's Alexander's Rough Magic overdosed on steroids. Angelica Torn will reprise her acclaimed performance as poet Sylvia Plath in Paul Alexander's solo play Edge, September 4-October 8 at the ArcLight Theater. The show will open officially on September 9. The play covers Plath's life from her early years in Boston to her infamous suicide attempt in 1953 to her troubled marriage to the poet Ted Hughes. 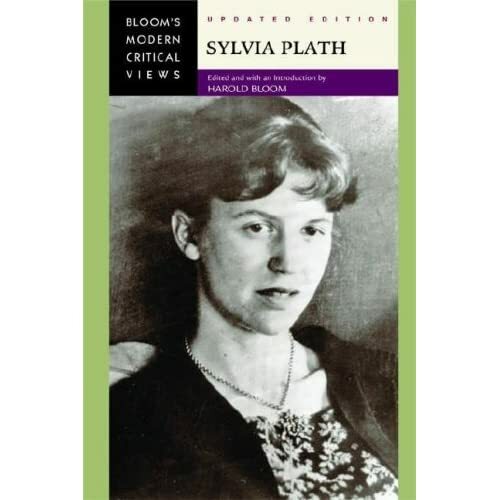 Plath is best known as the author of The Bell Jar. The show was previously seen in New York in 2003 at the DR2 Theatre. Torn will tour with the play, including stops in San Francisco, Los Angeles, New Zealand, and Australia in 2008. Torn is the daughter of Rip Torn and the late Geraldine Page. She starred on Broadway in Side Man and her many other stage credits include Vivat Vivat Regina, Death and the Maiden, Who's Afraid of Virginia Woolf? and From Riverdale to Riverhead. Sylvia Plath is known for her 'Ariel' poems, poems written mostly throughout the spring and fall of 1962. When she died, she left a more or less completed manuscript under the title of Ariel. I say more or less as Plath was a notorious reviser and re-arranger of her manuscripts. The Mortimer Rare Book Room at Smith College holds the Ariel poems. Each poem and its drafts is housed in maroon clamshell boxes, custom-made for the archive. They are a must see for any research visitor to the special collection. Many of the poems are written on the verso of manuscript pages of The Bell Jar. In some instances, it is as though the poems are in conversation with the prose. Occasionally rejected titles reappear later in Plath's work; for example, the poem "Words heard, by accident, over the phone", written on 11 July 1962, has the rejected title of "Words". In the winter of 1963, just days from her suicide, Plath titled another poem "Words". The same goes for "By Candlelight", written on 24 October, 1962, whose original rejected title became one of Plath's most tender, "Nick and the Candlestick" on 29 October 1962. Lynda K. Bundtzen's The Other Ariel discusses Plath's original order of the poems in wonderful detail. Robin Peel, in Writing Back: Sylvia Plath and Cold War Politics, also gives some of these poems and their rejected titles some attention. The actual poems appear below in alphabetical order. The rejected title, where a title was rejected, follows in parentheses. 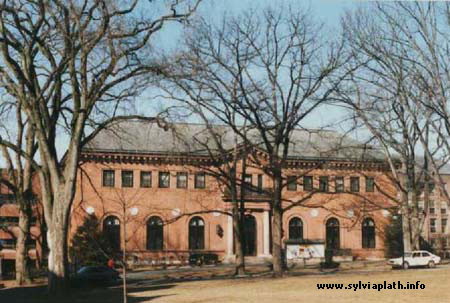 The Brown University Library holds the St. Martin’s Press Archive, 1952-1996. 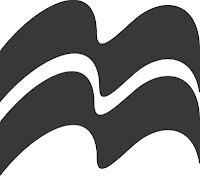 The St. Martin's Press archives includes correspondence and related materials from a wide variety of 20th century authors, including Edward Abbey, Isaac Asimov, James Herriot, Robert Travers, Randy Shilts, Sean O'Casey, R. Buckminster Fuller, M. M. Kaye, Jerzy Kozinski, Henry Roth, and James Baldwin. In addition, papers regarding the entire spectrum of St. Martin's catalog of biographies, histories, science, literary essays, and fiction, published throughout the press's various divisions - trade, mass market, scholarly and reference, and college textbooks - are available. In the collection are some materials related to Linda Wagner-Martin’s biography of Plath. The papers cover the period from 1983-1991. These materials are currently restricted until October 2007. St. Martin’s Press began sending their records to Brown in 1997. Materials older than 10 years are unrestricted, unless otherwise noted. St. Martin’s recent Plath-related publications include Wintering by Kate Moses (2003) and Giving Up: The Last Days of Sylvia Plath by Gillian Becker (2003). The Brown University Library web site is here. The Literary and Historical Manuscripts department at the Pierpont Morgan Library in New York City has an impressive collection of Sylvia Plath books. Tucked in this collection is a true Plath gem. The title of the collection is “Autograph transcript of 40 juvenile poems”. Purchased in 1982, the call number is Bound American Literature, the accession number is MA 3775. The record ID is 127550. Plath wrote these poems from 1940-1946, and transcribed about 1945-46. From the description, there appear to be two volumes, one of 24 p. and another of 17 p. The Morgan houses the poems in a blue cloth box. I would like to thank Janet McCann at the Texas A & M University for writing me and asking if I knew where this collection was located. It was a challenge, and I am glad that I found it! The Library is online here. Knopf published The Colossus and other poems in 1962, so when it came time for Plath to try to get The Bell Jar published in the United States, she sent the manuscript along to Knopf. Knopf rejected it, unfortunately. In "Series I. General / Historical Correspondence, 1922-71, bulk 1946-66", they hold in box 362, folder 2, correspondence with Plath from 1961-1962, approximately the time period for both the publication of The Colossus, as well as her attempt to secure them as publisher for her novel. The collection does hold their rejection letter to Plath. In "Series VII. Other Department Files, 1916-96, bulk 1943-68, A. Publicity Department, 1916-96, bulk 1943-96, 1. Publicity Files, 1916-67, bulk 1943-58", they hold in box 1253, folders 17 and 18 "Plath, Sylvia - THE COLOSSUS, Bio., 1961-62" and "Perm., 1961". In "Series VI. Editorial Department Files, 1930-84, bulk 1948-78, D. Reject Files, 1933-68, bulk 1953-68", they hold in box 1093, folder 4, "Plath, Sylvia, 1961-65". Additionally, the index to the collection lists that materials relating to Sylvia Plath can be found in the following boxes and folders: 113.1 (Correspondence 1952) , 328.5 (Correspondence 1961), 472.1 (Correspondence 1966), 489.4 (Correspondence 1967), and 962.1 (Series VI. Editorial Department Files, 1930-84, bulk 1948-78, Subseries C. Manuscript Records, 1930-79, bulk 1941-68, boxes 957-963). To understand the listings, 113.1 means box 113, folder 1. There have been some updates to the schedule for the Symposium. Please see below for the most recent schedule. Please note: The organizers apologize for the changes. They were made due to delegates' concerns about having featured talks coincide with panels, and they decided to keep their original intentions of having Monday morning panels. Also, due to large number of delegates, they had to schedule panels on Thursday afternoon during the first featured talks (Larschan and Helle). Additionally, Monday panels will be free and open to the public, so registration procedures remain only Thursday through Sunday. An update to the schedule was made. I am waiting for the updated schedule and will post it here when it is delivered.